Kathy Kris joined our staff in February 2006. 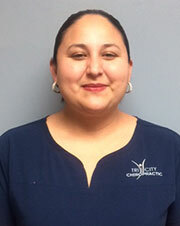 She works as our front desk receptionist as well as a Spinal Decompression and Laser/Electric Stimulation Technician. She brought with her 13 years of customer service experience in the retail industry. 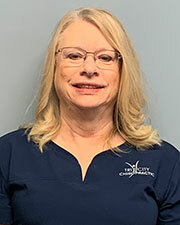 Heidi joined our team at Tri-City Chiropractic in September of 2017 as a Chiropractic Assistant. She brings Five years of Customer Service experience to the team. 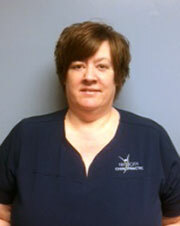 She is our primary Medical Biller and also assists with X-Ray’s, Cold Laser Therapy, and Spinal Decompression Therapy. Heidi loves to see patients feel better and improve with chiropractic care. 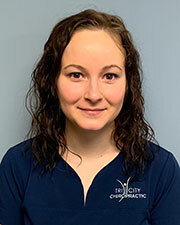 Jessica joined our office in August 2018 as a Chiropractic Assistant. Among her many responsibilities is verifying insurance benefits. She also serves as our x-ray technician and assists with many other office duties. She brings with her 5 years of customer service and patient care. Jessica loves being a part of the process that helps patients heal. 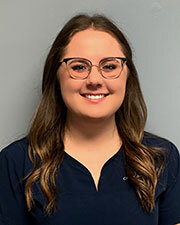 Alyssa Martin joined our team at Tri-City Chiropractic in September 2017 as a part-time Chiropractic Assistant. She brought with her three years of Customer Service experience. 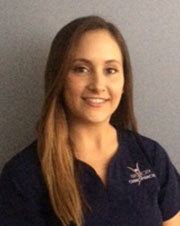 Alyssa assists with all aspects of front desk duties as well as taking and developing x-rays. She is currently enrolled as a student at SVSU and is preparing to go to chiropractic school in 2020. Jessica graduated from Dorsey School of Massage Therapy in November 2017 and joined our staff thereafter. Jessica offers a relaxing medical setting with aroma therapy. She specializes in light touch massage and/or deep tissue muscle manipulation including stretches and releases as needed. Bobbi Borsenik is a 2017 graduate of Dorsey School of Massage. She is trained in trigger point therapy, deep tissue and Swedish massage techniques. Her goal is to help patients with pain control, improve range of motion and increase flexibility.